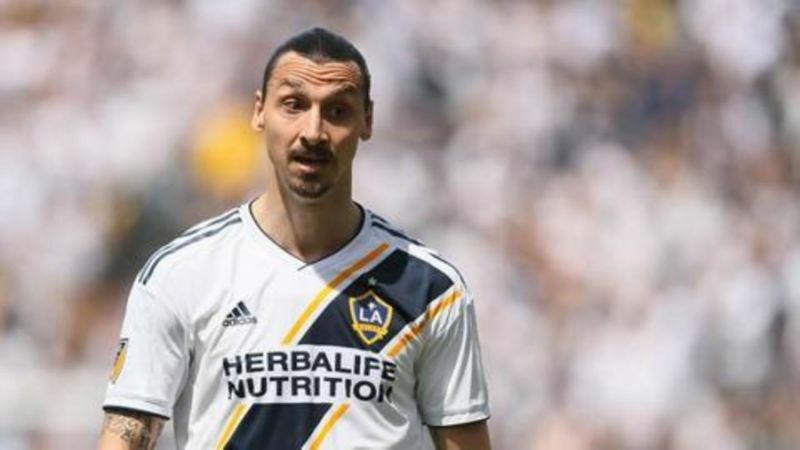 Zlatan Ibrahimovic will not be leaving LA Galaxy to return to AC Milan, the Italian club's sporting director Leonardo said on Sunday, although they are studying the possibility of signing Chelsea midfielder Cesc Fabregas. "Ibrahimovic will not return to Milan," Leonardo told Sky Sport Italia. "He gave his word to the LA Galaxy that he would renew his contract. We thought about his return and he thought about it too, but he's keeping his word and will remain in MLS. "He always said from the start that if the LA Galaxy satisfied his conditions, then he would remain. They are doing that and he will stay there. "It would have been a marvellous story and a strong signal, but it will not be possible." Ibrahimovic played for AC Milan from 2010 to 2012, winning a Serie A title with the club, before moving to Paris Saint-Germain and then Manchester United. The 37-year-old joined LA Galaxy this season and has a contract through the 2019 season with the Major League Soccer side. He was recently named the league's Newcomer of the Year, defeating record England goalscorer Wayne Rooney among others for the award. Leonardo said Milan were "evaluating the conditions" to sign 31-year-old Spaniard Fabregas, a former Arsenal and Barcelona player. "Unfortunately, with the Financial Fair Play issue it has become a puzzle and a difficult one to work out. "The owners want to invest, but there are parameters to be respected." Meanwhile, Brazilian midfielder Lucas Paqueta arrived in Milan on Sunday ahead of his 35 million euro ($40.4 million) signing and will have his medical on Monday. "He'll be a reinforcement, is young and can certainly give us a hand," added Leonardo of the 21-year-old Flamengo player.